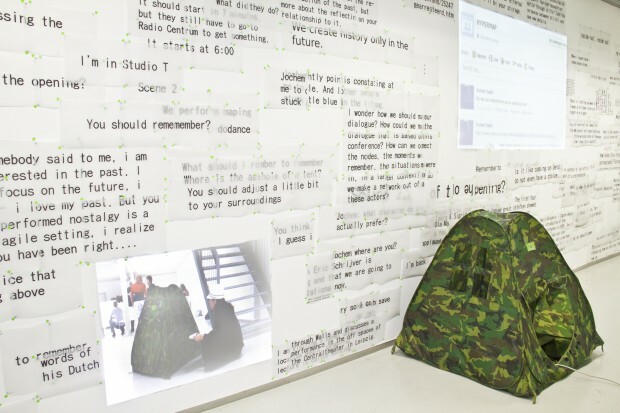 ‘Hypermap is a lab for the remembering, combining and forgetting of (embodied) knowledge.’ For this project by Danslab Schr.fr makes a design installation in the gallery of the CBKU. 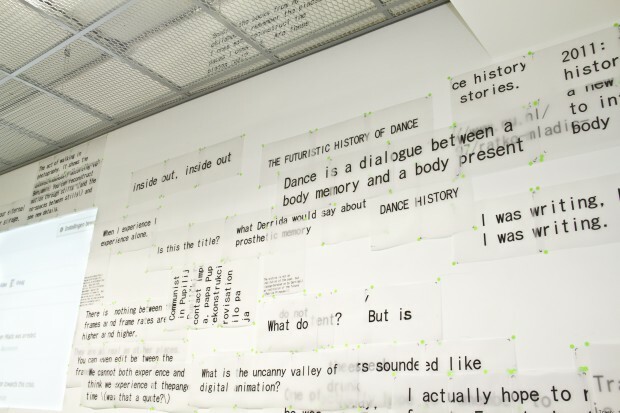 During the course of Performance Studies International, a group of dance professionals send messages to a private Facebook group, interpreting the event. 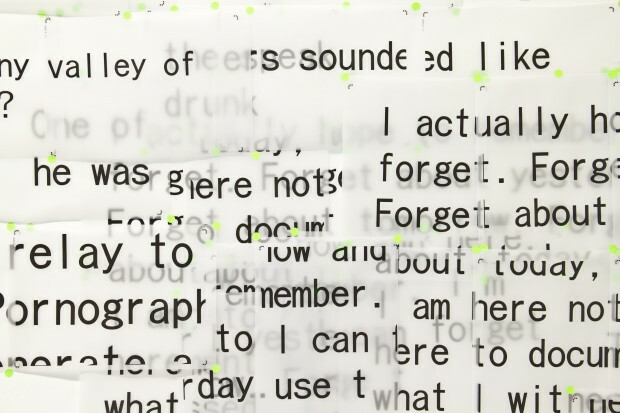 These messages are laid-out by a computer script and sent to a printer that prints them on graphing paper. I subsequently coordinate the performers in attaching these to the wall: the performers make visual connections based on their understanding of the texts. With: Diane Elshout, Bruno Listopad, Giulia Mureddu, Ola Maciejewska, Jochem Naafs, Jette Schneider. Production: Danslab, Bit Dansdramaturgie, PSI. 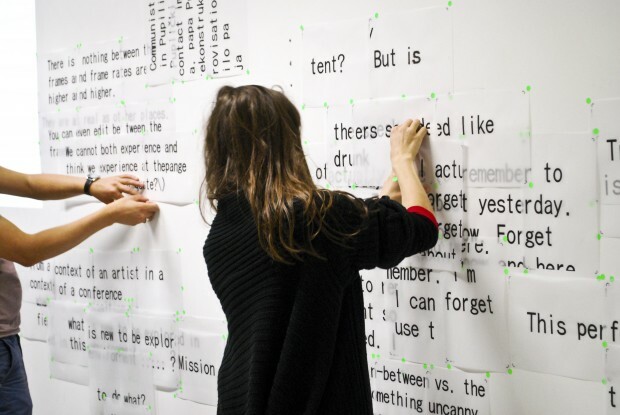 In the other PSI venues, the performers also did several interventions based on Ola Maciejewska’s unforgettable existents.